What are your thoughts on last week’s game against San Jose State? A good win with a strong running game and a dominant defense. Mistakes (fumbles) kept this within reach for San Jose State longer than it should have, but a win is a win. What was the play or moment from in the SJSU game? The final touchdown of the game when Sean Chambers hit Austin Fort on a 20-yard touchdown pass. It was a one-score game up to that point. Wyoming’s offensive line that allowed the Cowboys to run for 400-plus yards. The entire defense that knocked around San Jose State quarterback Jordan Love and really never allowed the Spartans to get into an offensive rhythm. 2 games left, Wyoming is currently 4-6. How do you see the final stretch playing out? 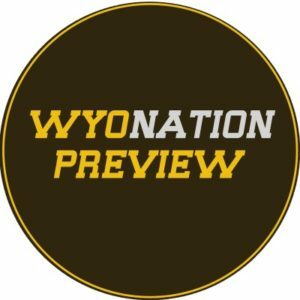 If Wyoming continues to run the ball like it has and also mix in some more passing, and the defense is as dominant as it has been the last three games, Wyoming can win its final two games. The game went about like I thought it would. The only reason SJSU was in it late was because of a couple of turnovers. Sean Chambers continues to breathe life into this offense with his dual-threat ability, and the defense is playing like many expected it to the entire season. For the second straight week, Wyoming put the game away with a timely march. The Cowboys’ last turnover allowed SJSU to cut it to one possession midway through the fourth quarter, but Wyoming took nearly all the time off the clock with a 14-play drive capped by Chambers’ lone touchdown pass to ice it. Take your pick between Chambers and Evans, but I’ll go with Chambers. Another 100-yard rushing game, most of which came on a career-long scoring run that came after the offense had bogged down a bit in the second half. This offense isn’t producing like it is without him. The junior linebacker was yet again all over the field, finishing with another double-digit tackle game. The Cowboys’ leading tackler is leading the charge for defense that’s looked a lot in recent games like the one that was among the Mountain West’s best last season. I think Wyoming wins out and becomes bowl-eligible because of the way the defense is playing and the way the offense is producing with Chambers at the controls — and the remaining schedule. Air Force and New Mexico have combined for two league wins. Wyoming is better than both at this point. That was a much needed win for the Cowboys, and dominating the Spartans is the medicine the Cowboys needed. Glad to see they didn’t spend all of their energy on the Border War and saved themselves from a letdown against one of the worst teams in FBS. Chambers and Evans are a dangerous 1-2 punch to keep the ball moving. At some point some enterprising defensive coordinator is going to solve this particular riddle. The Cowboy coaching staff needs to get Chambers up to snuff and expand that playbook ASAP, maybe getting the ball in the air a little more to keep teams honest. Nico Evans scampering off for a 58 yard run to get the game to 10-0 seemed like a key moment in the game. With the way the Cowboy defense has been playing as of late, and the inability of the Spartan offense to do much of anything I felt that lead was insurmountable for San Jose State to make a comeback. Luckily the Cowboys kept piling it on both sides of the ball. Kevin Prosser was absolutely dominant on the defensive line. Evans turned in another great game and is my MVP from last week. Evans had 188 yards and a score for the Pokes. Evans is now fourth in the national rushing rankings, 197 yards behind the leader. He’s second in the nation in rushing yards per game. Prosser finished with four tackles and half a sack but he also ruined Josh Love’s day by burying him on multiple drop backs. Three weeks ago I don’t know if you could have convinced me that Wyoming was going to be in the thick of bowl contention. However, these last two games are very winnable for the Cowboys. They get Air Force at home, which will be difficult assuming that Youhanna Ghaifan will not be present. However, the Pokes are more than capable of winning this game. New Mexico is just terrible this season, they are struggling big time for multiple reasons. I haven’t seen them play, but it appears they have ditched the triple option and have moved to something more conventional. They did somehow hang 50 points on UNLV a few weeks ago, that counts for something, I guess. The game’s in Albuquerque, it’ll be a tough game but I suspect by then the Lobos will be looking to play spoiler rather than for a bowl spot. A pretty complete game from Wyoming. The offense was running the ball and the defense is play as well as any unit in the Mountain West right now. The Sean Chambers long TD run. You can read about my analysis of the key moment HERE in last week’s game recap. Nico Evans had another great day 187 yards but he has been producing at that level all season long and Wyoming was losing games. The MVP is Sean Chambers who forces defenses to stay honest and now the Wyoming offense is a respectable unit. The entire defensive line gets the nod. The San Jose State QB Josh Love was getting hit on almost every pass play as the Pokes defensive line was brining the heat. The Pokes will host Air Force next week and have done well the past few years against the Falcons. I think they will win a close game and then any bowl hopes will come down to the New Mexico game on the road. Even a win in New Mexico doesn’t mean the Pokes will go bowling as there is quite the logjam in the conference this year with teams. I think there is better than a 60% chance the Pokes finish 6-6 which is quite remarkable given the 2 and 6 start. Wyoming controlled most of the game from start to finish and if not for a couple turnovers, they would’ve blown SJSU out. The defense has been on a tear and now that the offense is contributing more consistently, the Cowboys look like a much different team these past couple weeks. Wyoming’s final drive was so impressive. SJSU had some momentum and was able to get the game to a one possession difference but the Pokes took the ball down the field in 14 plays, capped by a great play action call that resulted in a game clinching touchdown. 14 plays and 7:39 off the clock. Even if they didn’t score, they had put the game away and converted multiple third downs on the drive. That was a classic Craig Bohl style drive to put it away. Chambers and Evans both went over 100 yards each for the 3rd straight week, very impressive. I think the Cowboys will win their final 2 games. Being at home against AFA is a big advantage and Bohl has had some nice success against them and New Mexico is a bad football team right now and if Wyoming beats AFA they will be riding a 3 game winning streak and playing for an opportunity to get bowl eligible. I don’t know if 6 wins will get this team into a bowl, but it would be fun to see them at least have a chance.